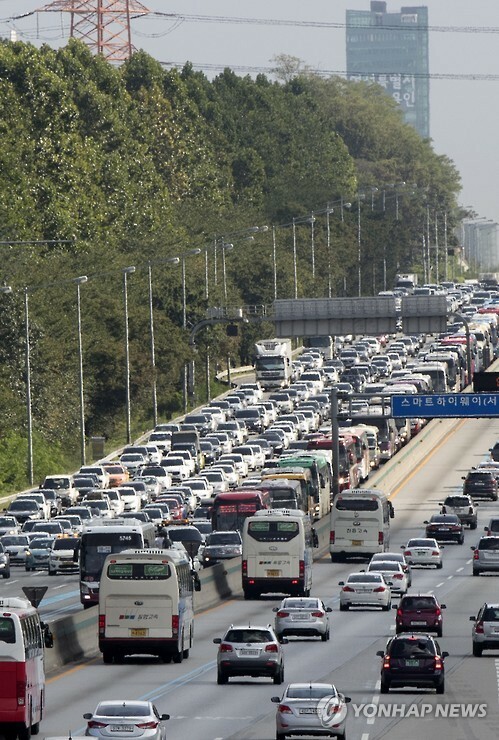 SEOUL, Sept. 19 (Korea Bizwire) – This year’s Chuseok holiday, which began on September 14, has finally ended, and Koreans are returning to their workplaces. 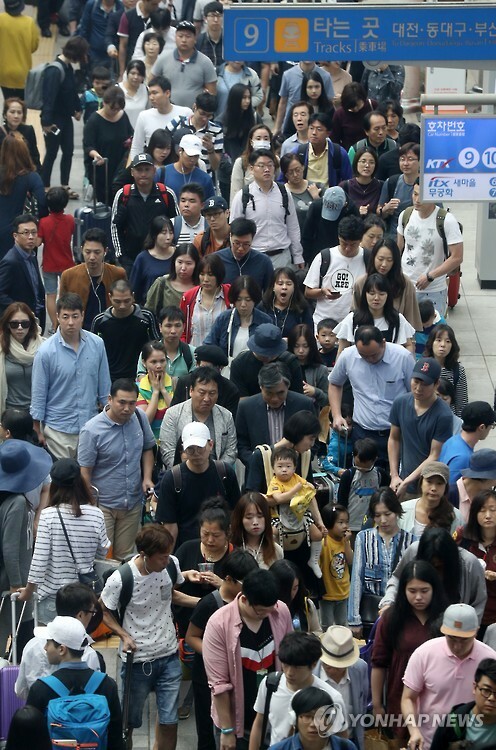 The holiday began with tension following a historic 5.8-magnitude earthquake that struck Gyeongju last Monday, and ended with typhoons Meranti and Malakas affecting the peninsula with heavy rain starting on Saturday. 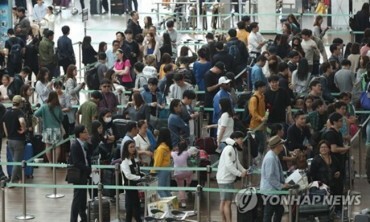 Despite the unease, this year’s holiday brought about new records, including the single-day number of vehicles using highways recorded at 5.35 million on the day of Chuseok (September 15), besting last year’s Chuseok record of 5.27 million, and the number of passengers using Incheon International Airport during the traditional holiday season at 97 million, surpassing last year’s Chuseok holiday number by 19.6 percent. 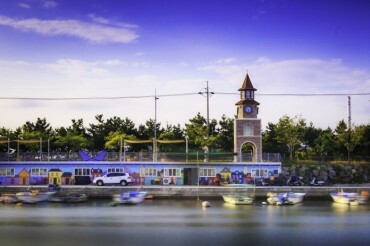 South Korea has a population of 51 million. 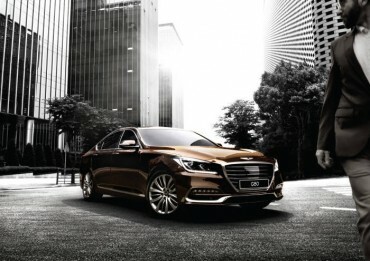 Chuseok, Korean Thanksgiving, is one of the biggest traditional holidays in Korea alongside Lunar New Year. 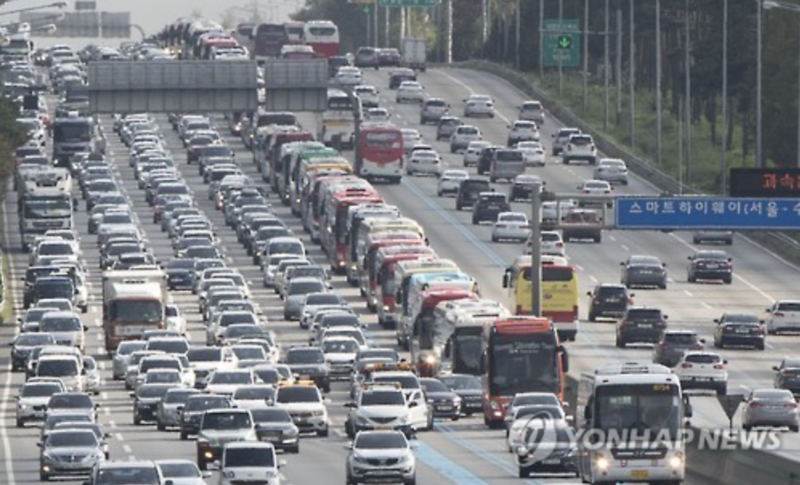 Slowed traffic (Seoul direction) near the Seoul tollbooth on September 18, as vacationers return from holiday travels. 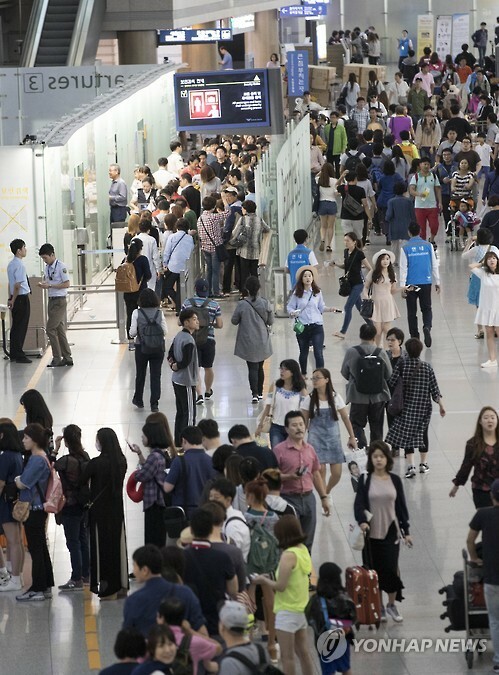 Seoul Station bustling with travelers.